New building leadership teams have been assigned for Prairie View Elementary and Eisenhower Middle Schools. Prairie View Elementary, a Kindergarten through 5th grade school will house the district’s dual language program and is set to open at the beginning of the 2016-2017 school year. Eisenhower Middle School will serve 6th through 8th grade students and is also expected to open at the beginning of the 2016-2017 school year. The following building administrators were approved by the USD 480 Board of Education on Monday, November 9th. The principal at Prairie View Elementary will be Kendra Haskell, current principal at Garfield Elementary School. Mrs. Haskell is a Liberal native and has served as principal at Garfield Elementary for the past three years. She has previously served as an elementary instructional coach in USD 480. The assistant principal at Prairie View Elementary will be Kathy Fitzgerald, current principal at McDermott Elementary. Mrs. Fitzgerald is also a Liberal native and has served as principal at McDermott Elementary since 2006. Mrs. Fitzgerald has previously served as an elementary teacher in USD 480. 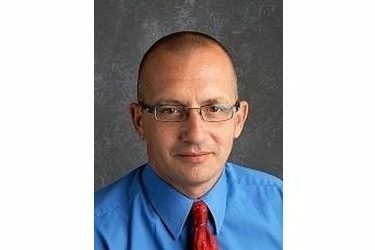 The principal at Eisenhower Middle School will be Troy McCarter, current principal at West Middle School. Mr. McCarter is a Liberal native and has served as the principal at West Middle School since 2010. Mr. McCarter has served as a teacher, coach, assistant principal, and athletic director during his 18 years in USD 480. The assistant principal at Eisenhower Middle School will be Jenifer Davis, current assistant principal at West Middle School. Mrs. Davis who came to USD 480 from Minnesota in 2010 is currently in her first year as a building administrator and has most recently served as an instructional coach at Liberal High School.